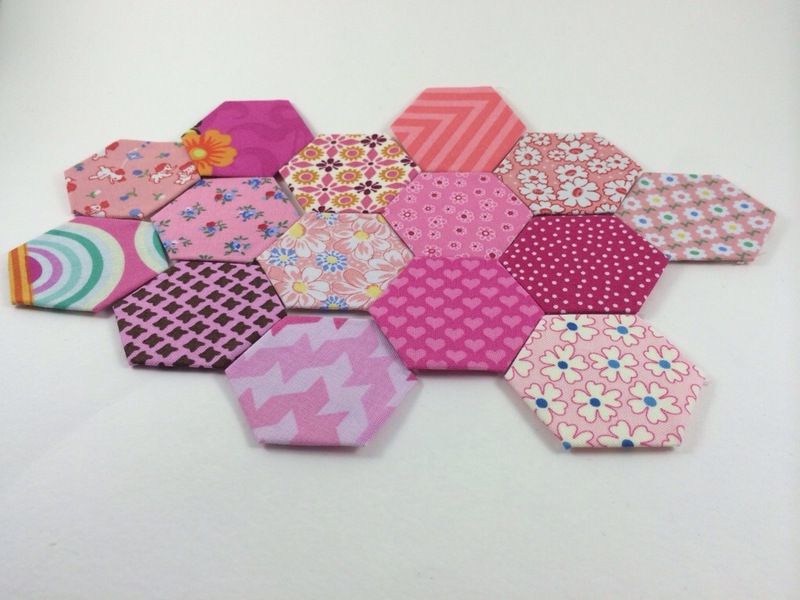 Besides the hexagons I made for the felt coaster I posted yesterday, I’ve been busy with English paper pieced hexagons! It’s officially an addiction, which is a good thing because I need a lot. My original math was 1118 hexagons for a twin blanket, but then I realized I was only calculating for the size of a twin mattress, not the size the actual blanket needed to be. The new total I need – 1880. 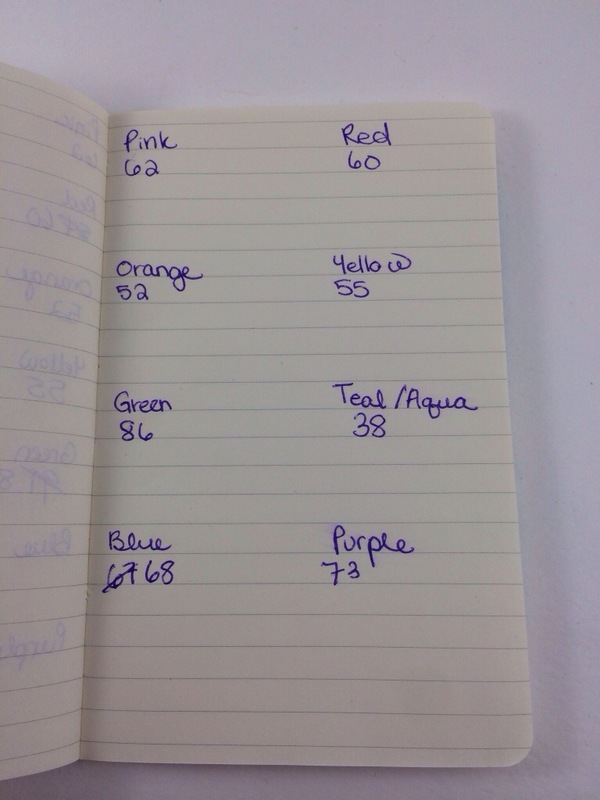 I’m keeping a tally of all the hexagons I make, separated by color. 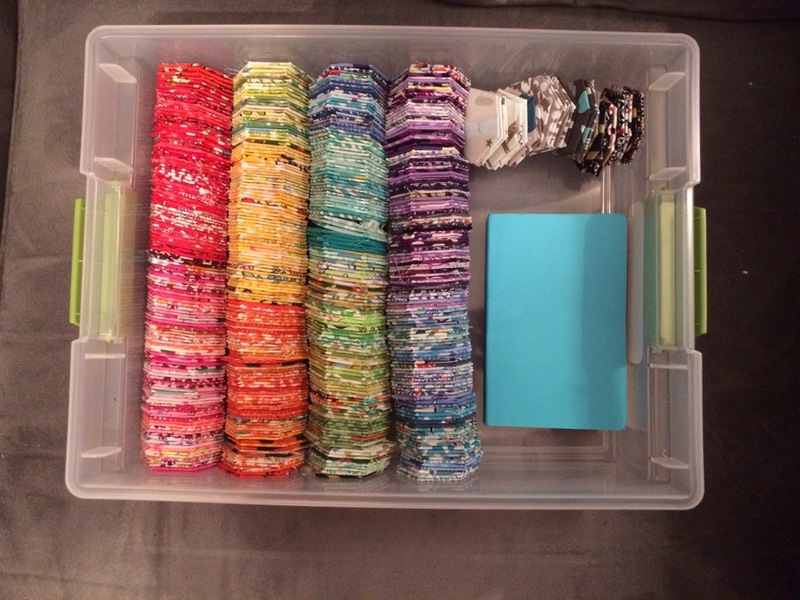 I plan on having 8 colors – pink, red, orange, yellow, green, teal/aqua, blue, purple. I didn’t have the teal/aqua category originally but I kept coming across colors I was having trouble categorizing as blue or green. So I need 235 hexagons of each of the 8 colors. Man that is a lot of pieces!!! I am working on my first product for http://www.TrueAgape.com which is very exciting! This is going to be the most beautiful quilt ever! I got hooked over the summer and am in the beg. Stages to clean out my basement so I washed tons of fabric I had down there and put it upstairs but before I did that I cut 6 squares from almost every fabric I had to use for hexies and make GFG quilt . Then I decided I should make a twin size for my granddtr. I am totally confused on how to put it tie their and ask questions all the time. I just counted and I gave. 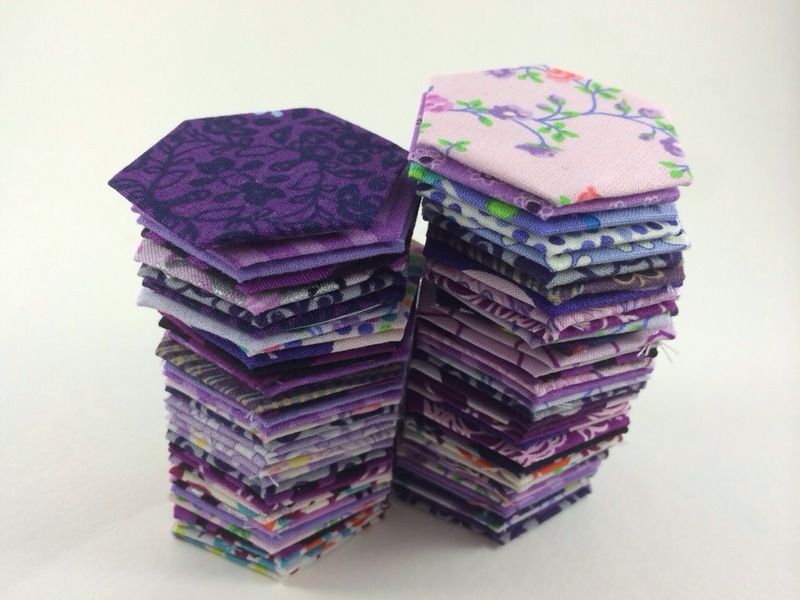 106 small flowers made…the. Center yellow with 6 around but now I have to figure out how many white hexies yo surrounded the. Flowers and try to figure out to put it together…..so I would love to get input from you………..are you making flowers or just putting them together randomly? I used this website to calculate how many hexagons to make. I plan on using that layout that they have where the hexagons are in diagonal rows. Ohh, you’ve been on top of this craftin’. I need to get on your level in this new year.